It is really important to take care of your lips as it is the most beautiful and attractive feature of the face. Whenever you see anybody, first thing you notice is the lips on the face. It becomes dry and it tends to crack very easily as skin on the lips is deprived of oil glands. 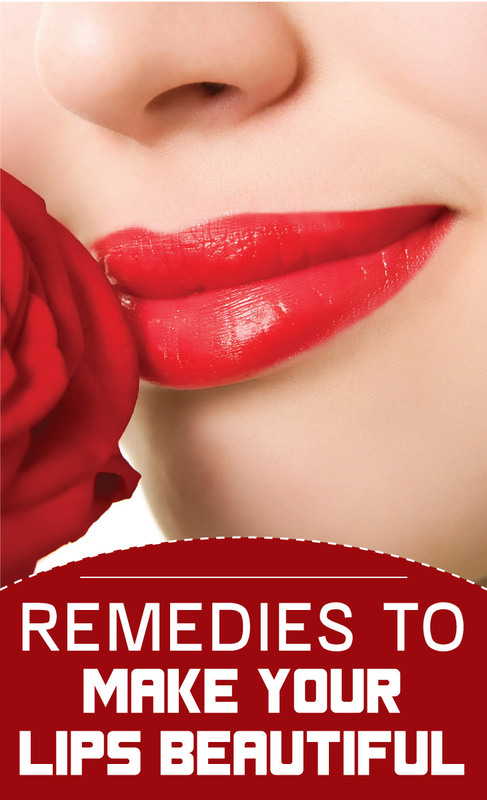 If you want your lips to look attractive and good, then you should take some extra care. Also, you have to stop your lips from getting dry and cracked as it can spoil your beauty. The way you clean your teeth, same way you should clean your lips to have a juicy and rich lips. Lips also have unfavorable effects like smoking, harsh chemicals, food, lifestyle and many other things. There will be a possibility that your lips might turn dark if you do not clean them. You need to keep your lips hydrated as there are no sweat glands on the lips. So, you should drink plenty of water. Also, eating fresh fruits and green vegetables will help you out. Lip balms should be applied in dry and cold season to avoid harshness. If you apply lip gloss on your lips then it will also look good and beautiful. It also provides nourishment to the lips. A paste should be prepared from honey and baking powder. It is to be applied on the lips and then washed off when it gets dry. Apply olive oil after cleaning it. With the help of the tooth brush, you can clean your lips gently. A dry and a clean toothbrush should be taken. Do not use the same tooth brush from which you brush your teeth as it may damage you delicate skin on the lips. Little bit oil can also be applied before using a tooth brush to allow the dead skin to blow off easily. A scrub should be prepared of gram flour and honey for your lips. Rice flour can also be used in place of gram flour. Apply the paste on your lips every day. Leave it for 15-20 minutes and then scrub it gently. Wash it with warm water. A pinch of sugar should be mixed in water. The sugar should not be mixed properly. Massage it on your lips for 5-10 minutes. Apply balm after wiping it off. A sprinkle of cayenne pepper powder and cinnamon is to be added in petroleum jelly. Scrub it on your lips for 10 minutes and then wash it. You will feel the difference. With the help of a warm wash cloth, you can clean your lips. It is to be wrapped around your finger and rub it gently against your lips. Wash your lips with Luke warm water and then apply balm. This process should be repeated every day. Mud packs which are specially made for lips will also help you in making your lips pink and beautiful.